Police Chief Roberto Villasenor said Tuesday that law enforcement expect to wrap up their intensive search for Isabel Mercedes Celis by morning. Villasenor says more than 20 officers will work throughout the night in the neighborhood surrounding the girl's home. That's a sharp reduction from the 150 officers from various agencies who first took part in the search. I don't understand why it is so difficult to determine if this child attended school on Friday. Simple enough to question a teacher and bus driver. I'm finding it hard to believe that someone entered that home via the window. It sounds like another Trenton Duckett case. Did the parents dispose of garbage before reporting the child missing? But, as always, I go back to little Jessica Lunsford. Couey was able to get in and out of her home without waking anyone (including the dog). So, are any of Isa's favorite dolls or animals gone? What about clothes or shoes? Police say they have "refreshed" the search warrant on the family home. TPD says this is being done in order for the FBI's Behavioral Analysis Unit to go inside the home and evaluate it. Police do not plan to have another update on this case until Wednesday morning at 7:30 a.m., unless there are major developments. So does this mean that the FBI will be going through the home overnight? Q: What is the mission of the BAU? The mission of the Behavioral Analysis Units (BAU) is to provide operational support for complex and time-sensitive cases and other matters through the application of investigative case experience, education, specialized training, and research. Behavioral Analysis Unit 3 (crimes against children): Resources are focused on crimes perpetrated against child victims, including abductions, mysterious disappearances of children, homicides, and sexual victimization. Q: What are some services provided by the BAU? Geographic profiling (provided through an agreement with the Bureau of Alcohol, Tobacco, Firearms, and Explosives). 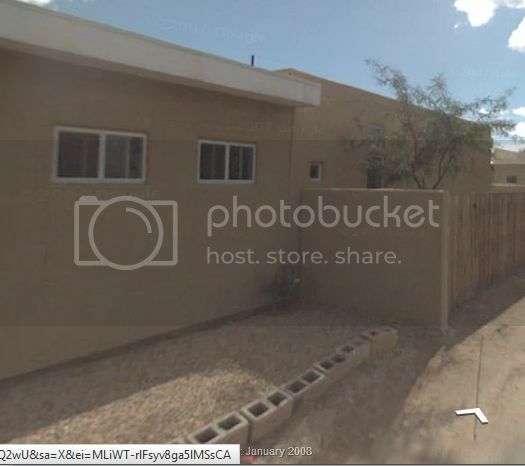 To my knowledge, they have only refreshed the warrant for the Celis home, no other location. The answer to how 6-year-old Isabel Celis disappeared from her Tucson home last Saturday may be found in surveillance videos from neighboring houses and stores, police said today. One camera is attached to a home just 75 yards away and points directly at the Celis family's house, while others are attached to nearby businesses. Police hope they could yield clues to the girl's overnight disappearance. Celis was reported missing by her father around 8 a.m. Saturday after her mother left for work and her father went to wake her up. The child was not in her room, and a bedroom window was opened with the screen removed, police said. The little girl was last seen around 11 p.m. Friday, when she was put to bed, he said. Today, police will extend their search for the girl to drainage and water systems in the nearby area, Tucson police chief Roberto Villasenor said at a press conference this morning. During a 7:30 a.m. news conference, Villaseñor said Wednesday that investigators "highly doubt" the young girl walked away from home. Her bedroom window was open and a screen was off, but he said police "have never said that was a point of entry." Police chief Robert Villasenor said Wednesday that they are looking in dry washes to make sure Isabel didn't wander into an arroyo. Washes are dry beds of streams that are common in the U.S. Southwest. Isn't that assuming that she climbed through the window on her own? One camera is attached to a home just 75 yards away and points directly at the Celis family's house, while others are attached to nearby businesses. ::snipping2::....Emily Collins says Isabel's brother walked into a nearby store searching for his sister. "He came in and he asked did you hear anything," Emily Collins, who works at the store, told ABC News. "'The little girl was last seen around 11 p.m. Friday, when she was put to bed,' he said. 'We were all sleeping and we didn't hear anything and the next thing you know she's gone.' He asked me once again, 'we were sleeping and we didn't hear anything and she's just kidnapped.'" I'd love to know just how old this child is. 7:30 a.m. — Tucson police Chief Roberto Villaseñor announced at a press briefing this morning that a scaled down search of missing 6-year-old girl Isabel Celis will focus mostly on areas such as washes and drainage areas. “It means that we’re not gonna take any chance in overlooking anything,” he said. Authorities completed another search warrant on the Celis home in the 5600 block of East 12th Street about 11:30 p.m. Tuesday, allowing behavioral analysts from the FBI to take a look at the home, Villaseñor said. “I’m hoping they saw things differently,” he said. Villaseñor also added that he doesn’t not believe Isabel walked away from her home. Police don’t believe she has been taken out of state. On Saturday morning, about an hour after the 6 year old's father called 911 to report his daughter missing, Emily Collins says Isabel's brother walked into a nearby store searching for his sister. Just passing this along...it came across my FB. I hope that LE has separated the brothers and questioned them away from their parents. t was also announced that the landfill search is complete at this time but police will be searching drainage areas and washes throughout the city. Responding to questions from the media, Chief Villasenor addressed the open window in Isabel's bedroom saying, "We've never said the window was the point of entry." The family dogs? The height of the bedroom window? No school attendance confirmation? The canine hits? The parents' silence? The last non-family sighting? Could it be that the demise of little Isabel happened through the mpulsive action of a family member prior to the dawning of "Friday" morning ... over 24 hours prior to the missing person's report. A fabrication followed ... a fabrication intended to protect a loved one from legal consequences ... a fabrication that would suggest an abduction. What has been revealed by others regarding the positive dynamics of the Celis family causes me to speculate that the remains of Isabel WILL NOT be located in a landfill ... will not be located in a body of water. My theory implies that little Isabel's remains would not have been disposed of disrespectfully. Nevertheless ... if the following words of KNST reporter Paul Birmingham reflects the truth ... there was a Saturday garbage pickup which may have motivated the landfill search for evidence. PAUL BIRMINGHAM, KNST (via telephone): This is a landfill about seven miles away. What investigators are hoping for is any piece of evidence at that landfill where trash was taken after Isabel had been reporting missing. There was a Saturday pickup. They`re hoping by going through that landfill, they may find something that they could have missed possibly at the scene of the home or nearby. So they`ve been combing through. They continue to do so -- a very hot, nasty, just terrible day to do it, nearly 100 degree temperatures. So it`s been a long search of that landfill today, and it`s continuing right now. He hopes they saw what differently? I think Villasenor believes Isabel might have died in that home and it was staged to look like a kidnapping. I do hope the camera trained on the home leads to something or someone! I did see a day ago that the reddish, older car was being gone over by LE and they took out what looked like a pillow and put into a bag and they were looking real hard! Page created in 6.169 seconds with 20 queries.